Eastside Nihon Matsuri Association (ENMA) began as an ad hoc group of community minded volunteers in 1998. For the nine (9) years prior to 1998, a group of volunteer's known as the "Japan Week in Bellevue Committee" presented a Japanese Style Festival. The group announced their intention to suspend operations following the 1997 festival. Leaders in the Greater Seattle Japanese Community encouraged a continuation of the festival (matsuri) offering their support. We accepted the challenge to present a Aki Matsuri Event (fall festival) for the 1998 season changing the organization name to the Eastside Nihon Matsuri Association. We operated under the auspices of the Lake Washington Japanese American Citizens League in 1998, and again in 1999 before Incorporating in the State of Washington as a 501(c)(3) organization, and gaining Internal Revenue Service tax-exempt status. "Regional Taiko Gathering" held at the Bellevue Community College's Carlson Theatre on October 3 and 4, 1998. Seattle Area Taiko Groups sponsored this first regional taiko gathering event featuring 15 Taiko groups from British Columbia, Oregon & Washington. Taiko, Japanese drum music, is a dynamic, living heritage greatly enjoyed and practiced by many Americans and Canadians of Japanese descent. As well, it is an increasingly popular form of folk music evolving into a new performing art. Taiko has developed from an ancient folk art used in festivals and religious ceremonies into a modern synthesis of rhythm, movement, and spirit. 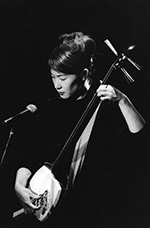 A Tsugaru Shamisen Concert, "Tradition & New Challenge", held at the Carlson Theatre in the Bellevue Community College on October 6, 1998. The audience were treated to an interrupted 90-minutes solo concert by Takahashi Chikuzan II, one of the finest Tsugaru shamisen performers from Japan, on her premire appearance in the Seattle/Bellevue area since becoming Chikuzan II. She played her instrument and sang some of the pieces from the traditional Tsugaru district music to more modern, jazz-influenced numbers. 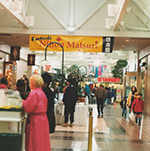 Family Fun Event, a 2-day matsuri in the mall area of the Factoria Shopping Center held on October 17 and 18, 1998. The matsuri featured stage performances, martial arts demonstrations, and booth exhibits. The attendance for this 2-day event was estimated to be ~1,000.